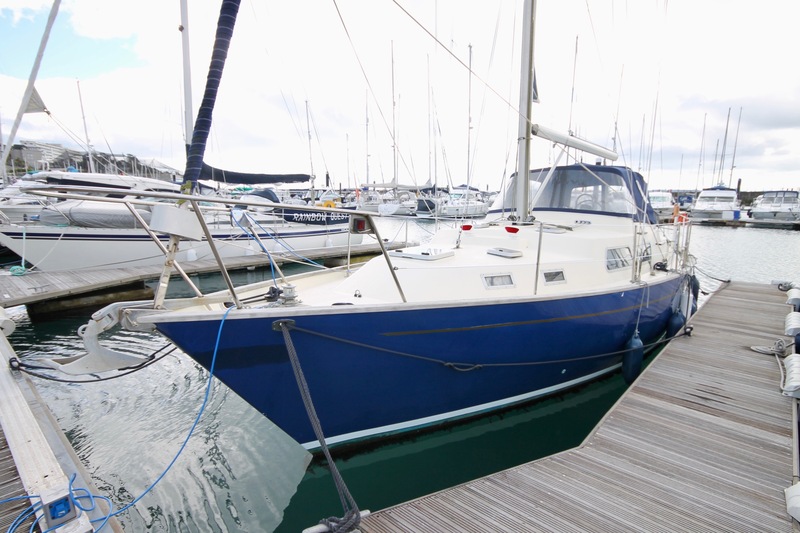 Ashore for fresh hull preparation, plus engine servicing June 2018. Arun Moon was built by David Hillyard Yachts of Littlehampton to the design of Laurent Giles, who had been commissioned to design a yacht for Mediterranean Cruising by that company. 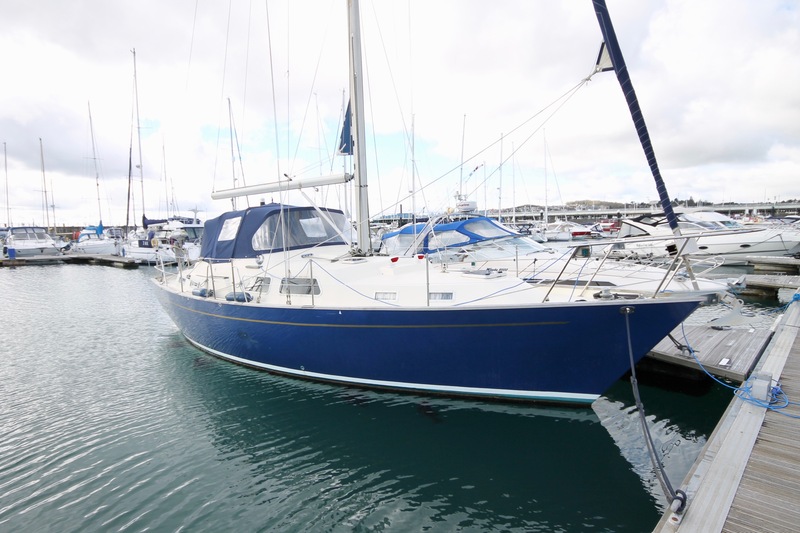 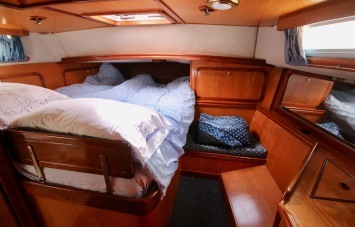 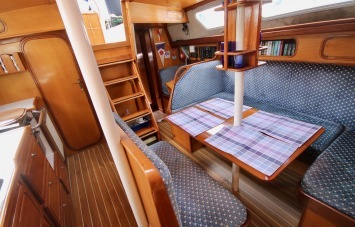 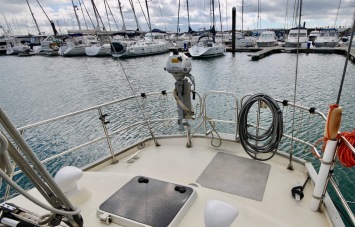 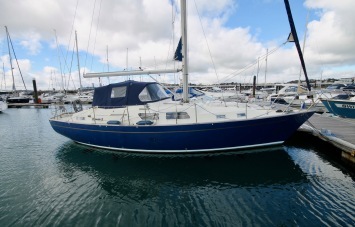 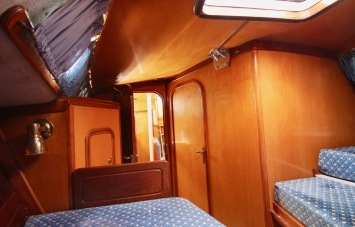 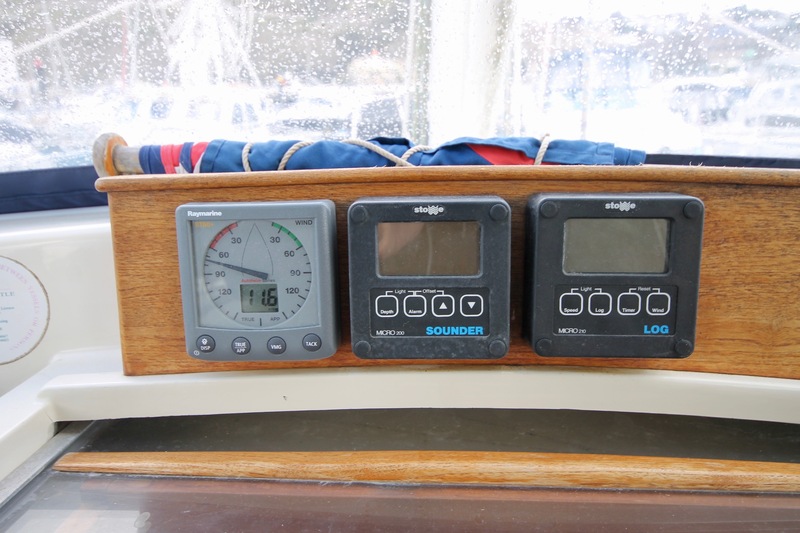 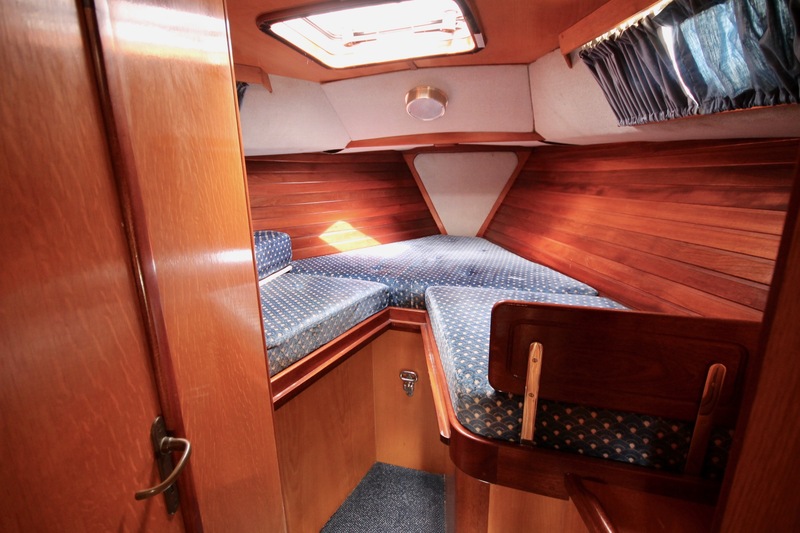 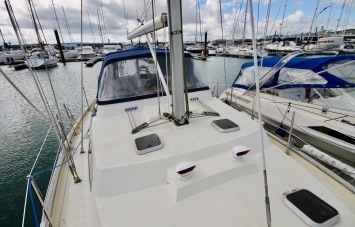 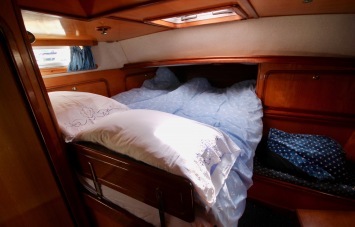 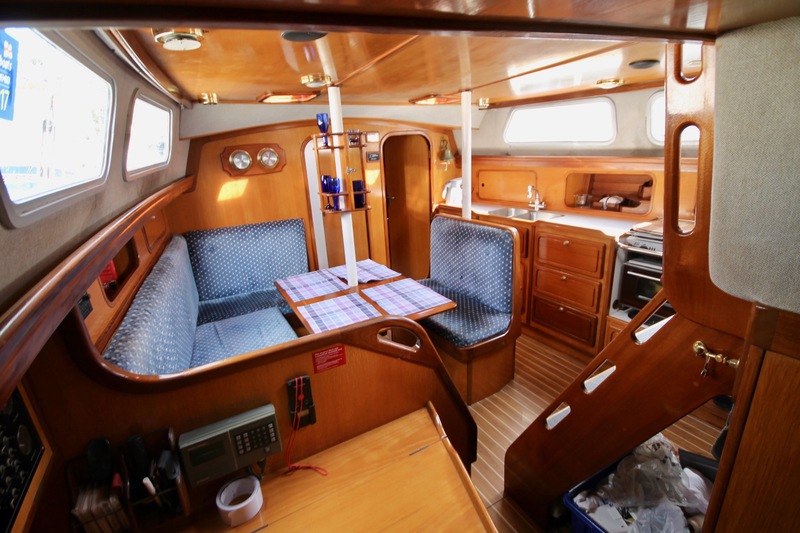 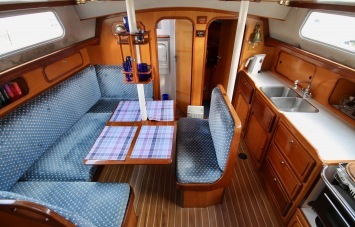 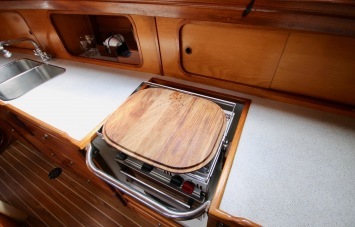 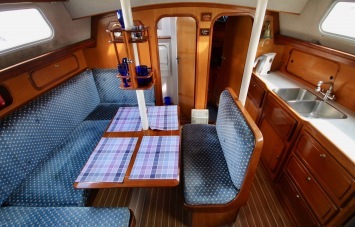 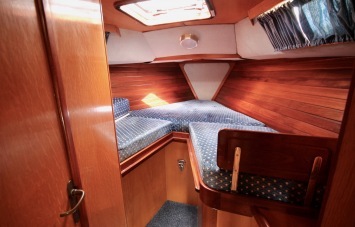 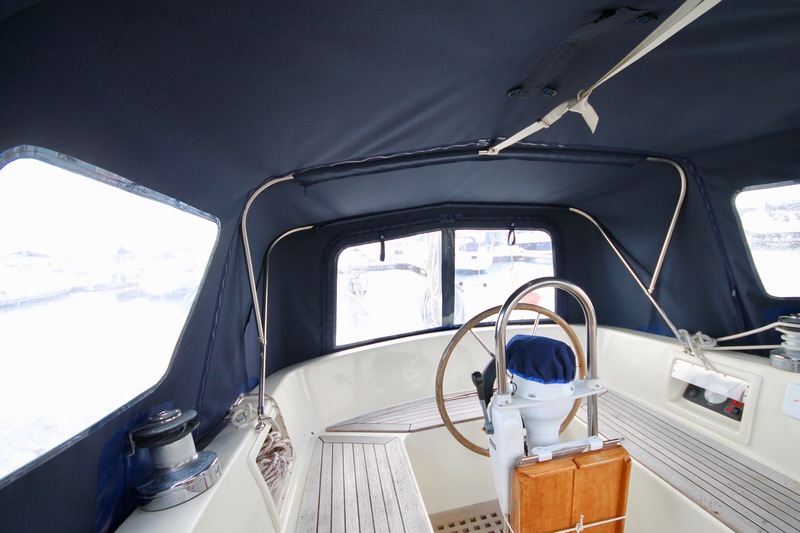 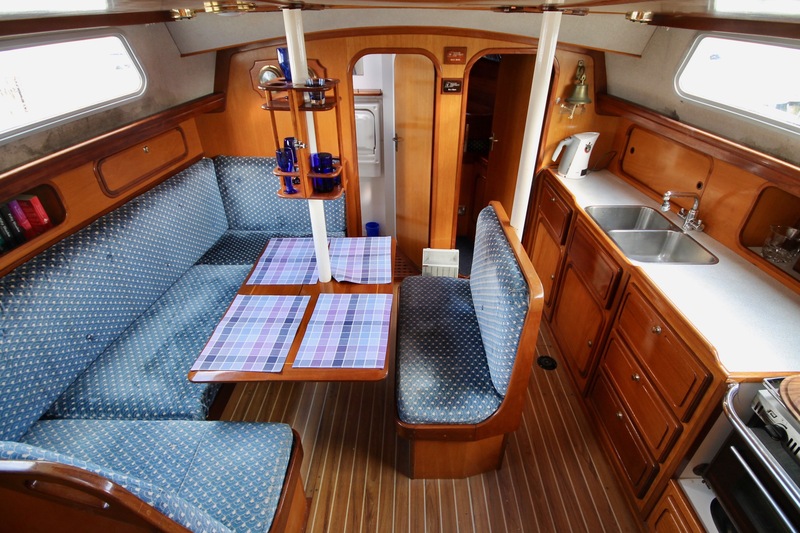 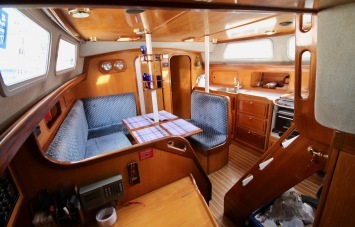 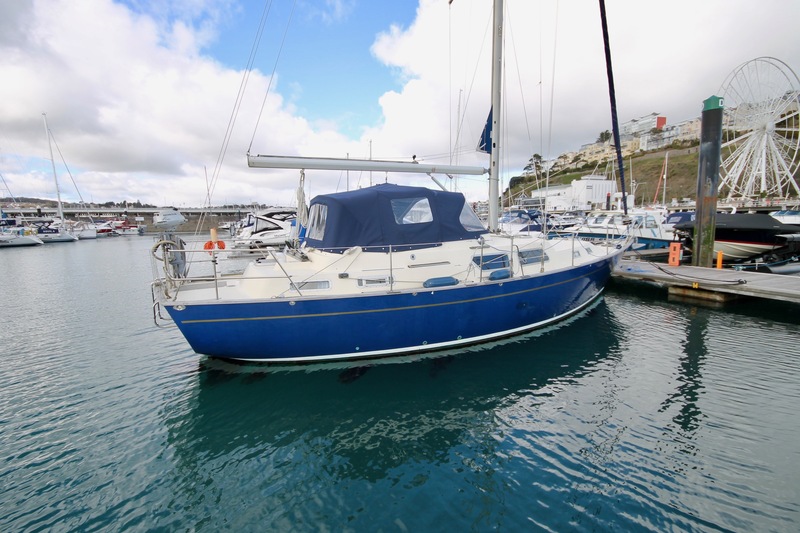 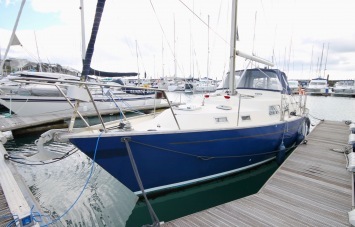 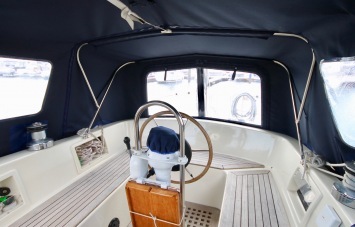 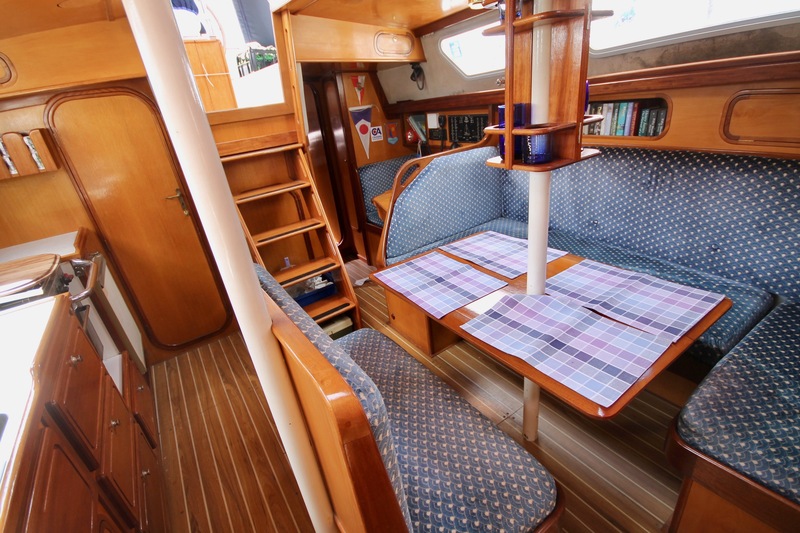 She was ordered at the 1990 boat show by the present owners who were able to negotiate changes to the internal design, and the final specification. Electrics were sub-contracted to William Osborne Electrics of Littlehampton. 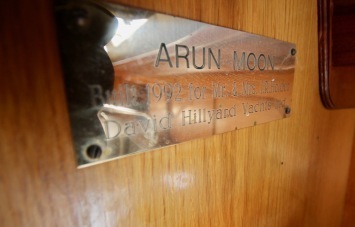 The final fitting out which took place towards the end of 1991 and in early 1992, were supervised by Geo. 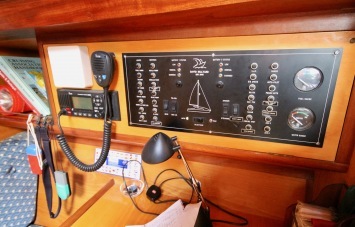 Philip (marine surveyor), on instructions from the owners. 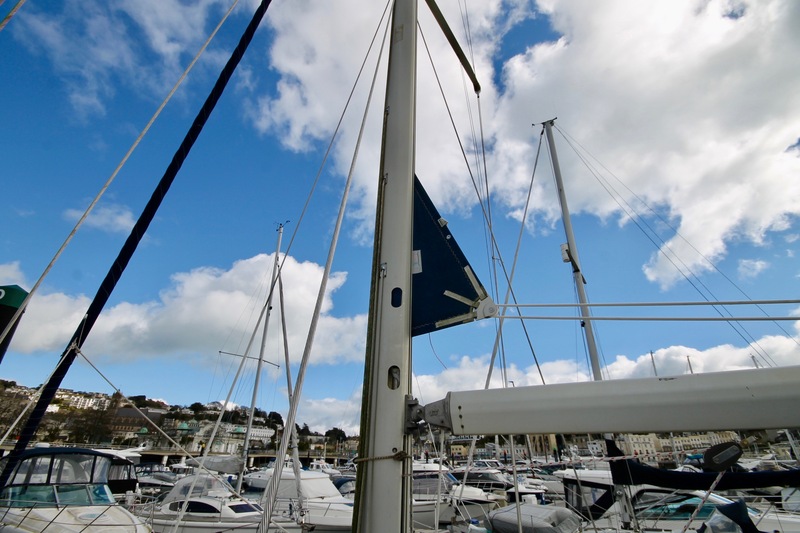 She was finally commissioned in April 1992 and was sailed to Dart Marina where she was berthed until 1996. 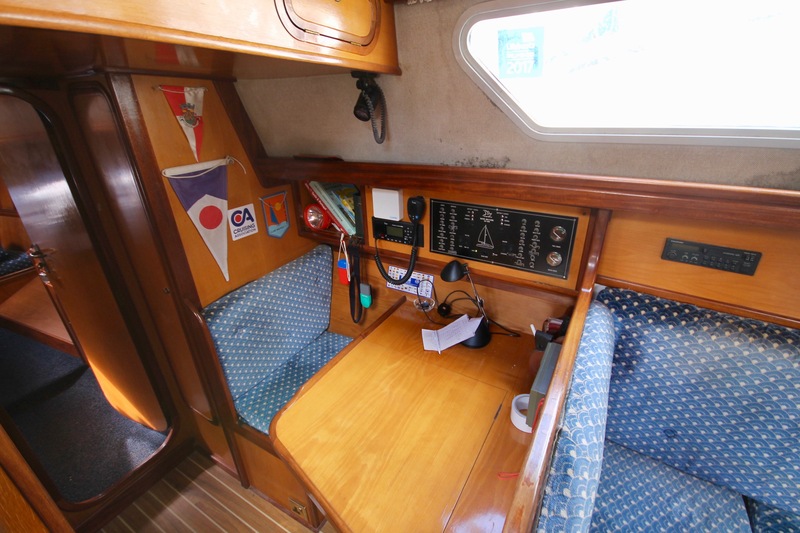 The owners then sailed her to Portugal in company with Rally Portugal-which arrived in Lagos in the Algarve in June 1996. 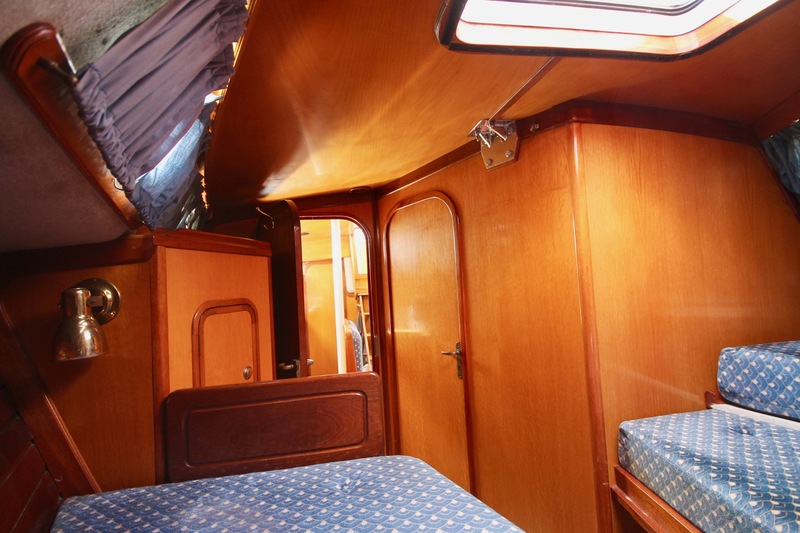 She proved to be a fast reliable, and comfortable cruising yacht, and remained in Lagos marina until May 2017. 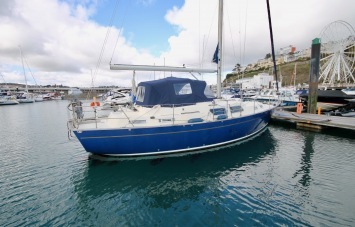 By that time the owners had decided to return to England and engaged PYD to bring her back to Torquay. 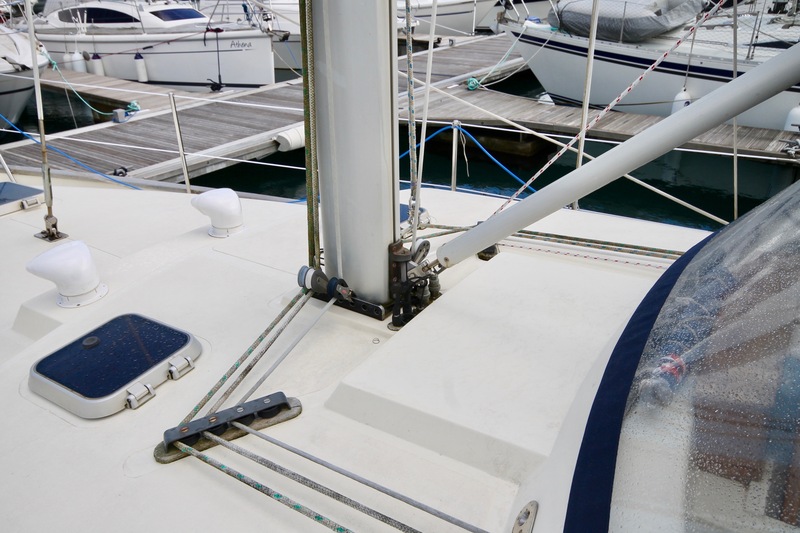 PYD required a comprehensive inspection and any necessary repairs prior to the voyage. 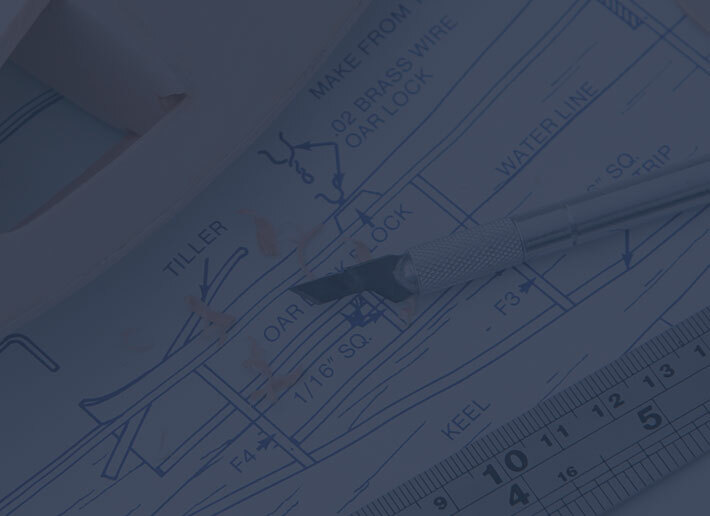 All such work was carried out at Sopromar in Lagos during April and early May 2017. 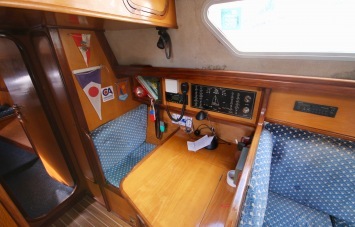 The voyage to the UK took ten days as shown on the PYD returns which listed some minor repairs needed after arriving in the UK. 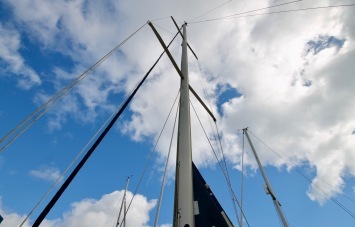 These were carried out including removal, and repair of the mainsail by Dart Sails. 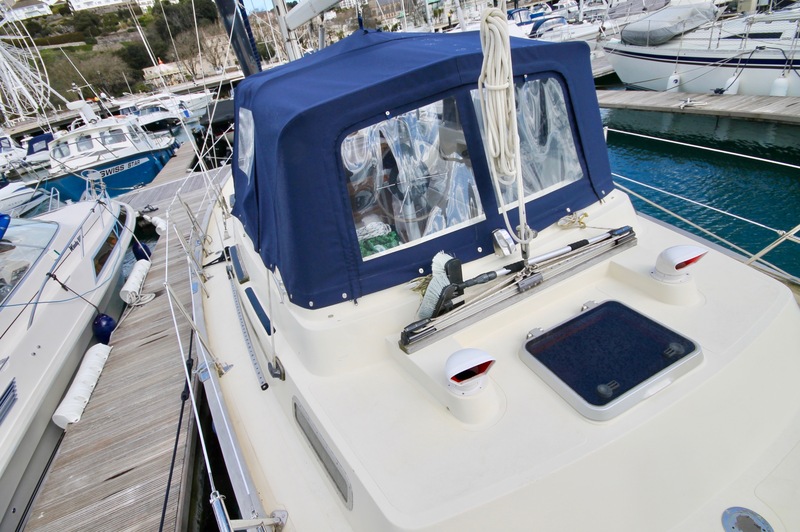 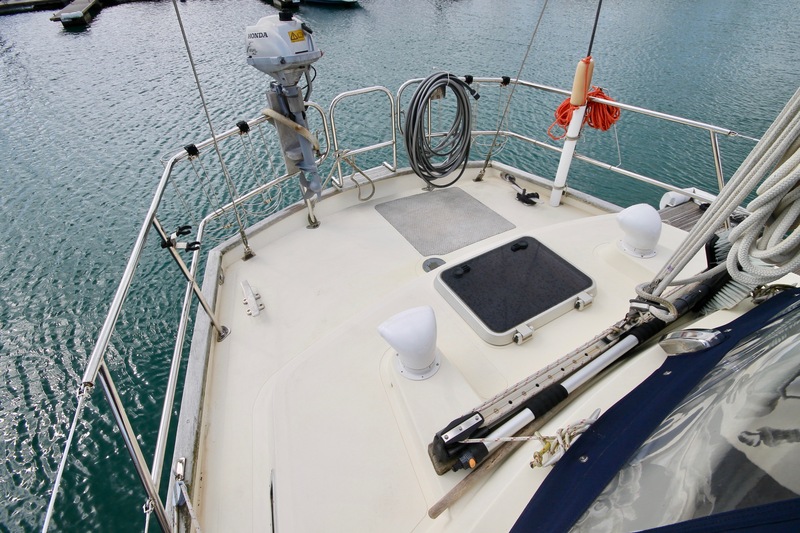 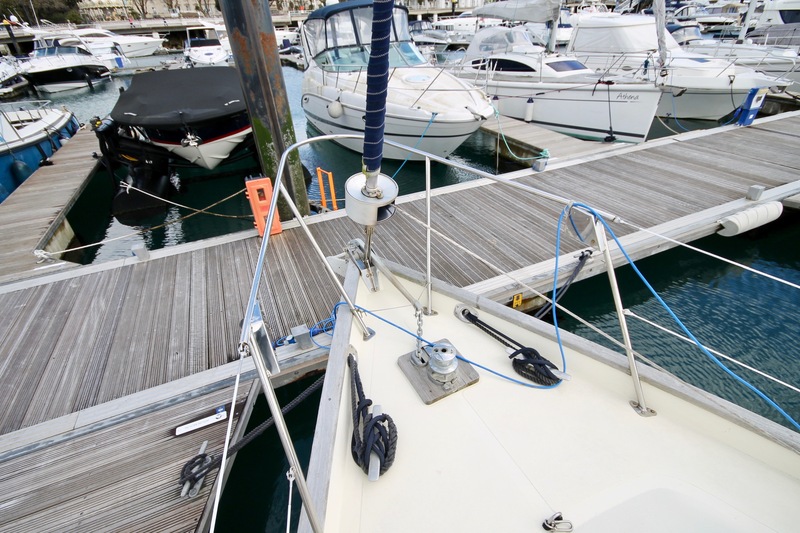 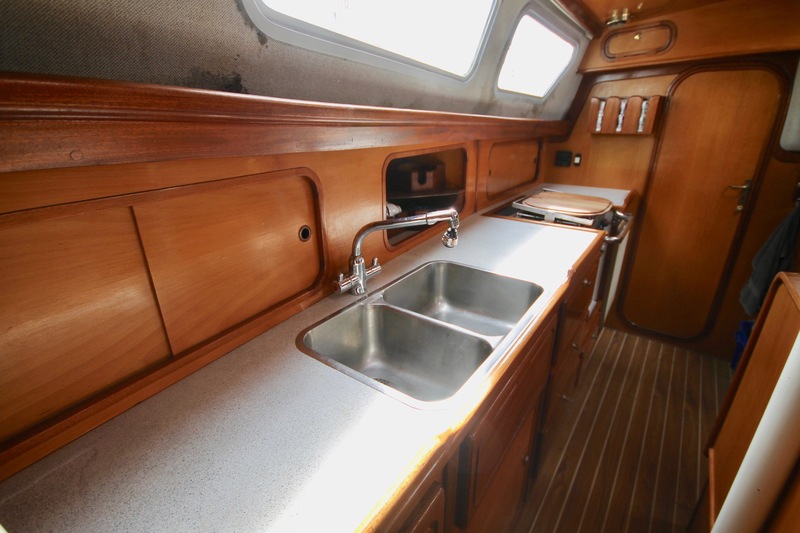 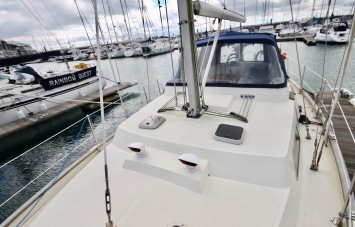 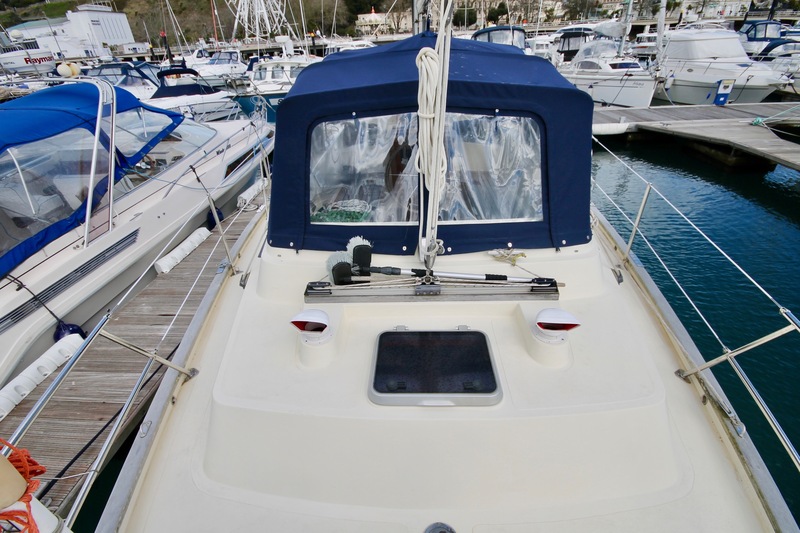 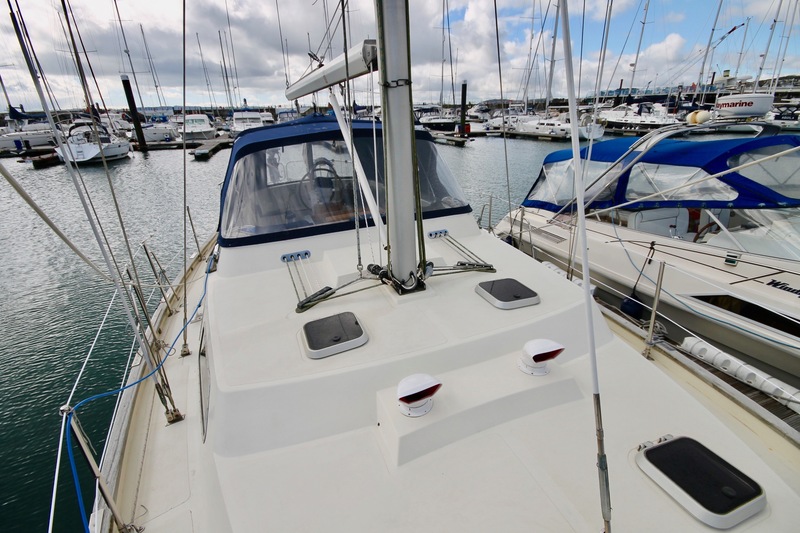 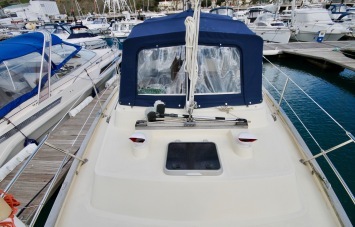 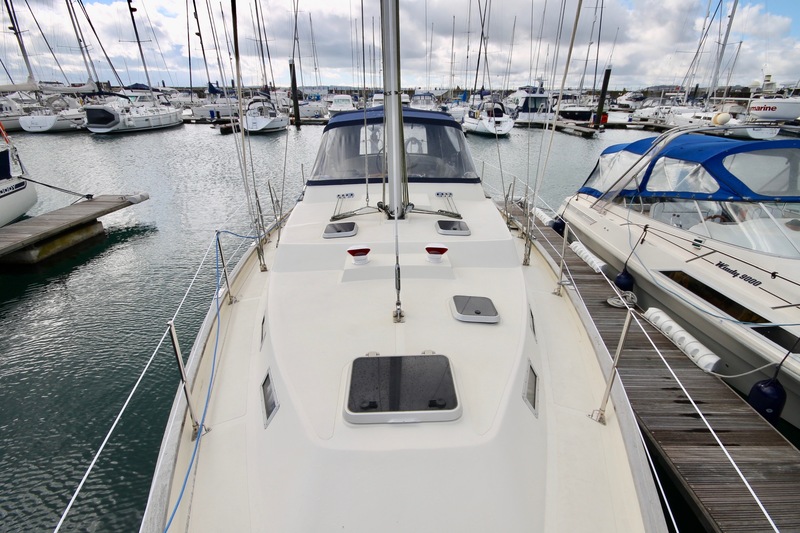 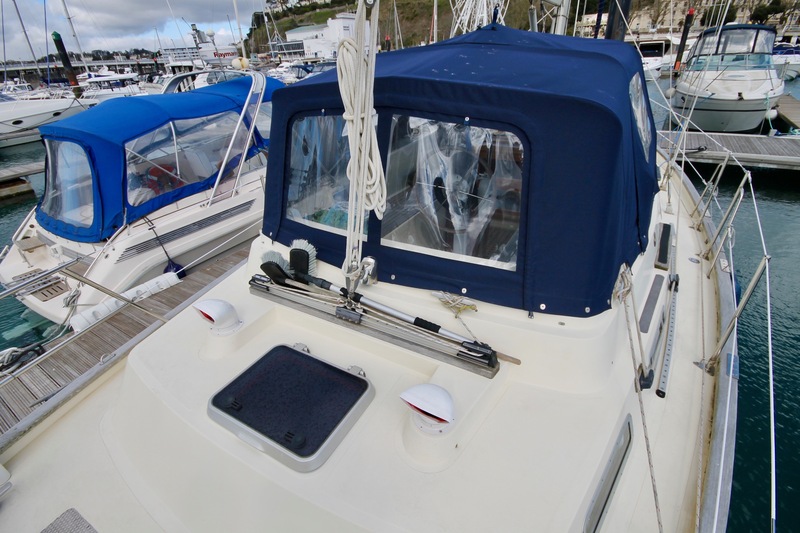 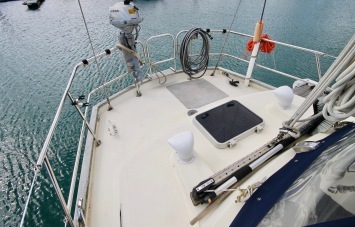 Further work was carried out in the summer of 2017 including a new spray hood and bimini by Aqua Covers, the replacement of the aft toilet (electric), and the replacement of the water pump. 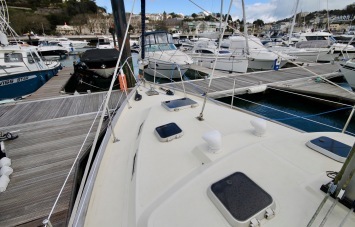 These latter items were supplied by Xylen Water Solutions (Cleghorn Waring), and fitted by Chris Rotherwell. 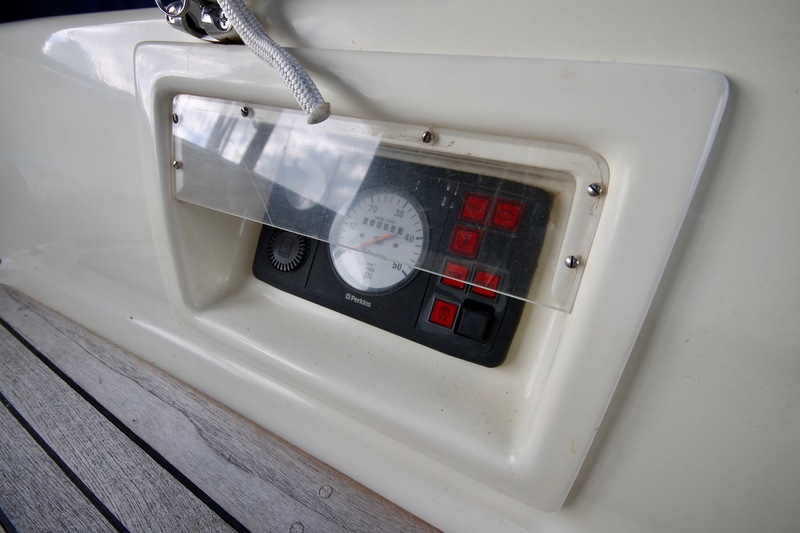 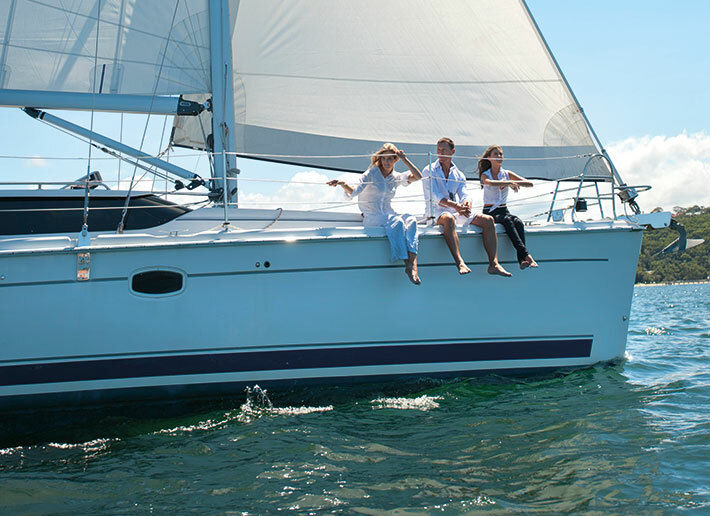 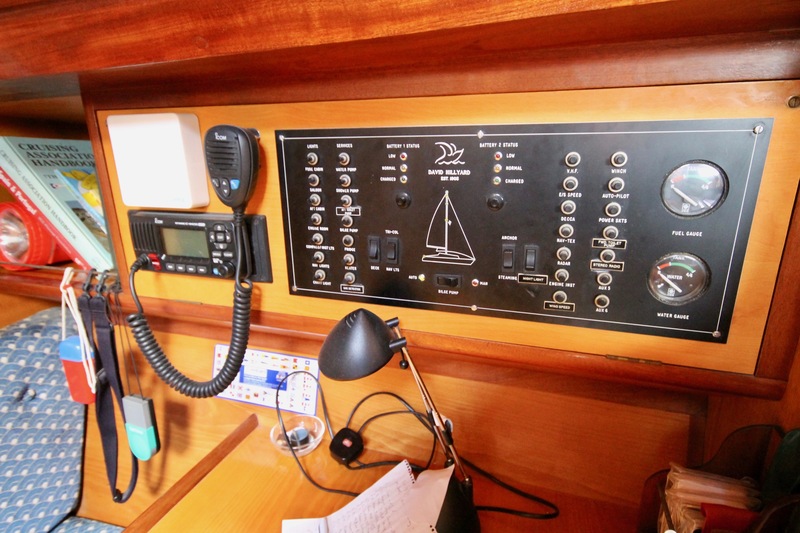 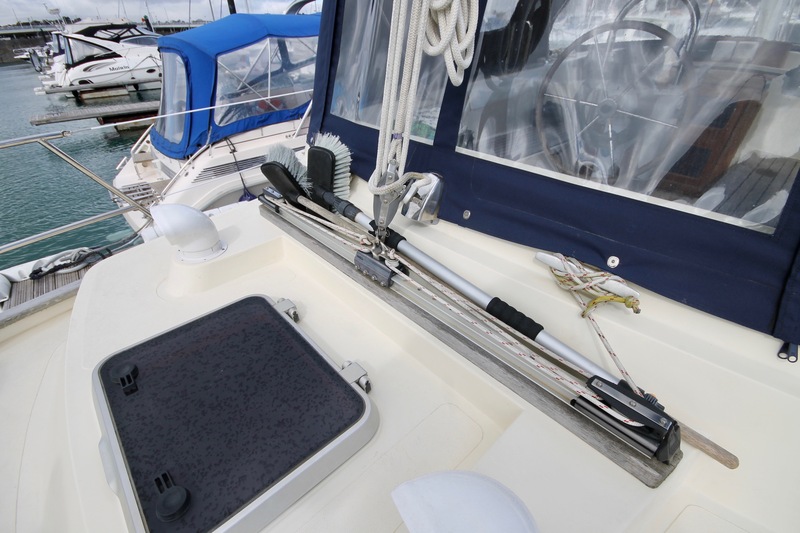 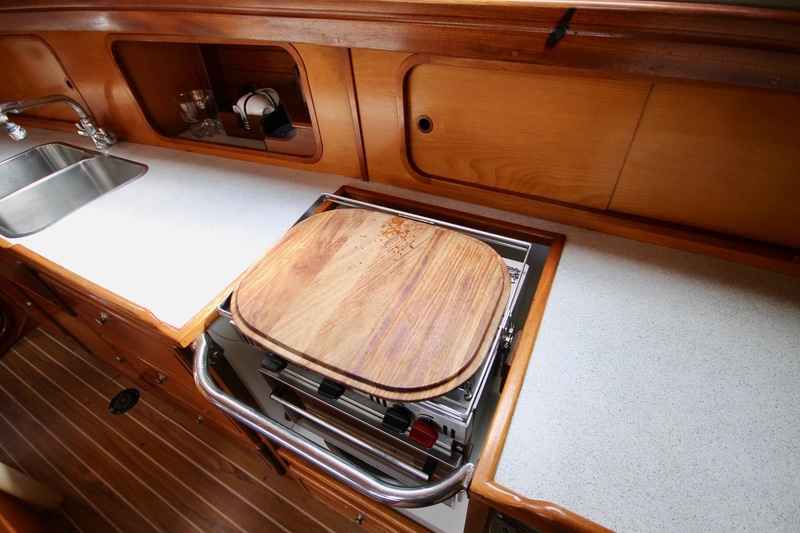 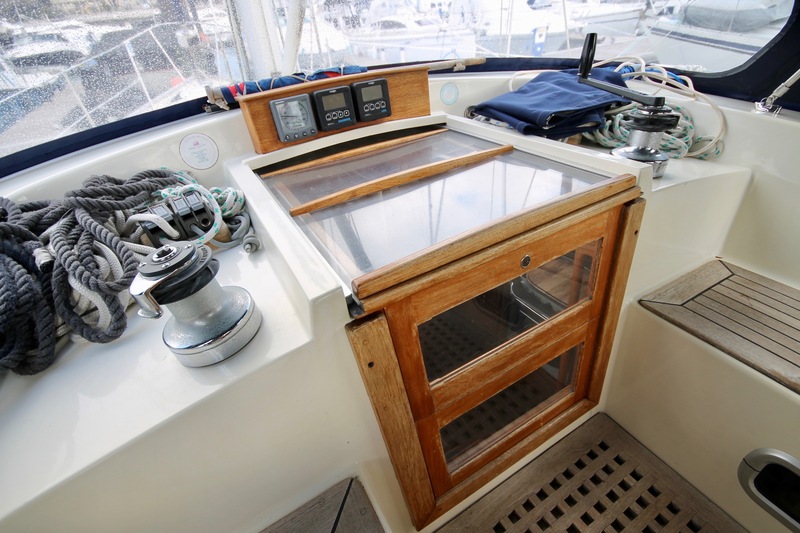 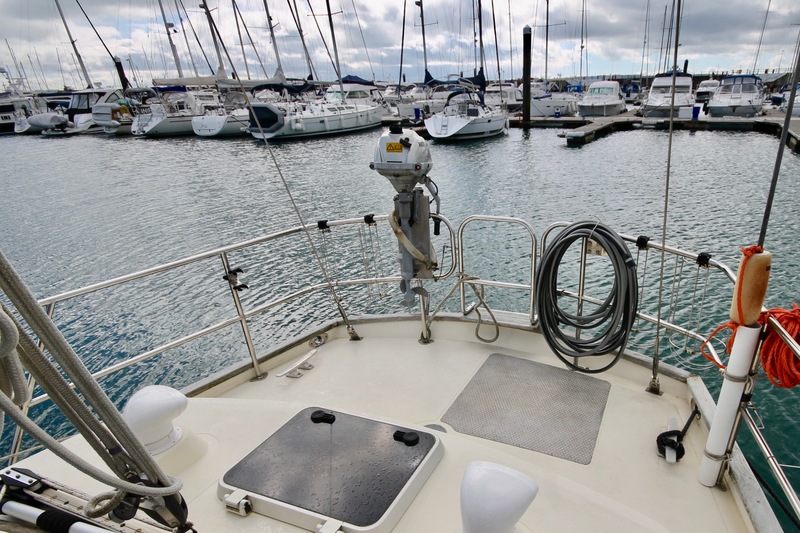 The yacht comes with a full service history, and all necessary brochures including those for the Perkins prima 52 HP engine-for which there is a full inventory of Di. Perk spare parts. 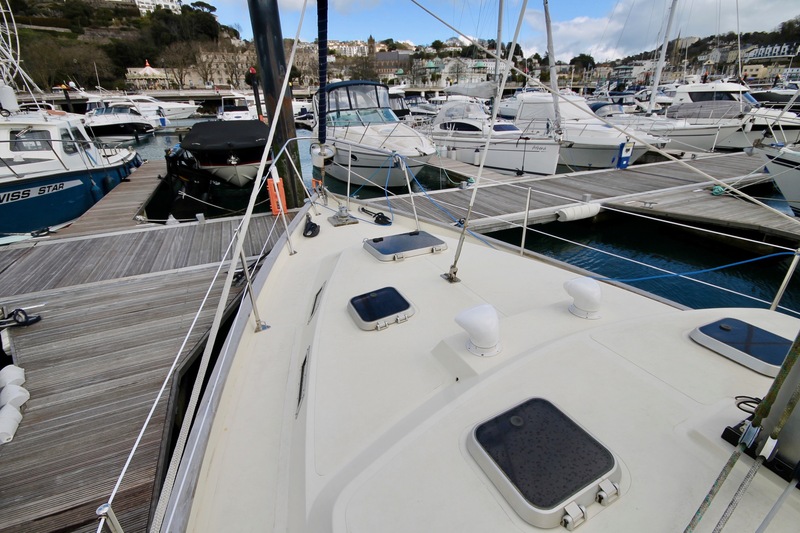 The engine has been professionally inspected, and maintained in Portugal by a specialist marine diesel engineer. 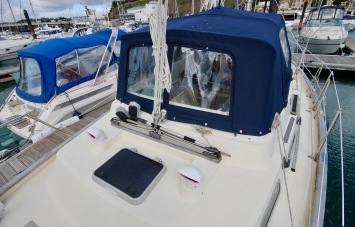 A new deep sea seal was fitted by Sopromar in 2016. 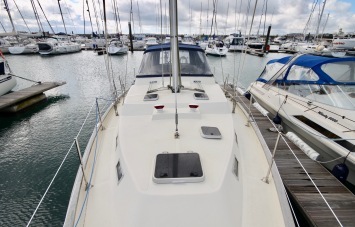 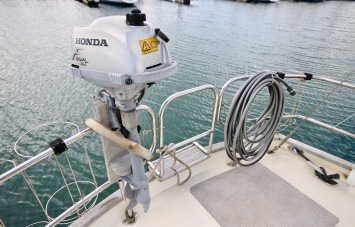 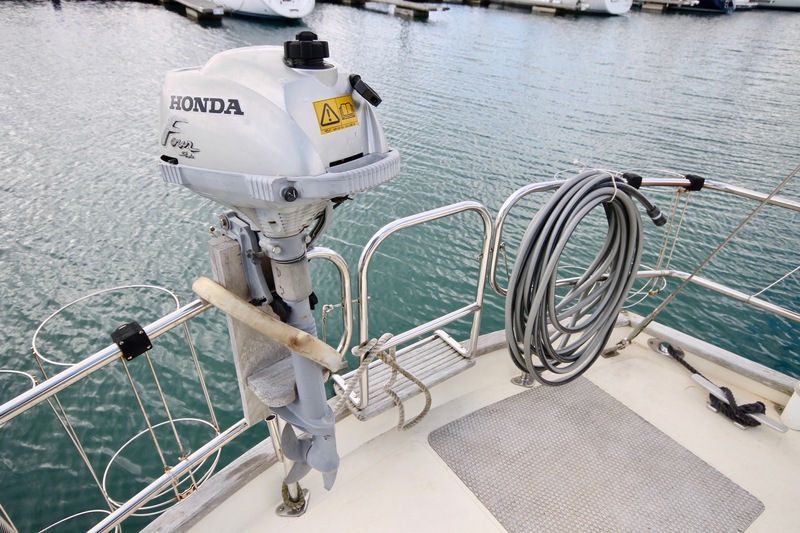 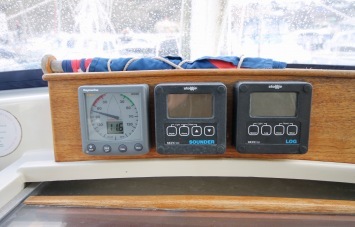 In the UK the engine has been serviced in December by Oxley Marine Engineers.